Click here to view current Central Staffing Resources opportunities. 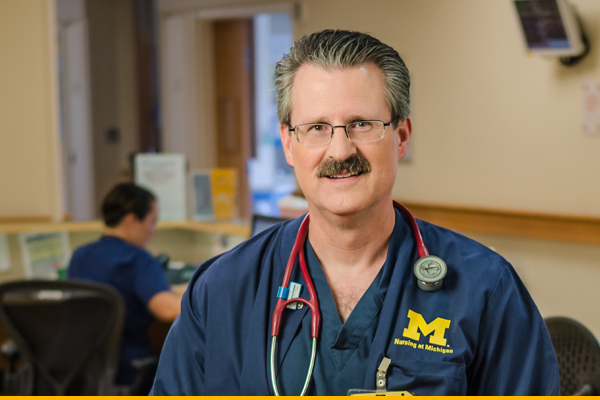 Central Staffing Resources within the University of Michigan Health System refers to our internal Nursing float pool, staffed by RNs with regular, benefited positions, as well as RNs working on a contingent basis. The primary goal of CSR is to provide high quality, safe and effective patient care, by providing supplemental staffing resources to units and clinics system-wide, on an anticipated and unanticipated basis. Central Staffing Resources (CSR) is comprised of RNs assigned to float within designated clusters, including: Adult Medical, Adult Surgical, Adult Telemetry, Adult Critical Care, Pediatric Critical Care, Pediatric General Care and Ambulatory Care. CSR’s mission is to deliver world-class, expert care across the University of Michigan Health System, with the primary focus on patients and families. In addition, CSR is committed to forming a partnership with other UMHS team members, to better serve the welfare of the patients and families by establishing and maintaining high quality staffing standards.